Exercise is a great way to get your mind of deadlines and the stress of studying but it can be expensive when on a tight budget. Being clever with gym memberships and getting your shakes and accessories cheap is the best way to save pounds without compromising your workout. Student Money Saver takes all the hassle out of trawling through the Internet to find the best deals by collating them all in one place. All the latest offers, deals and discounts are on the Health & Fitness page so keep checking for the best savings. Fitness First runs a friends go free Friday each week where anyone with a membership can bring a mate for free. So start asking round and find out if anyone you know is already signed up if they are you could blag yourself 4 free workouts a month. If you want a more conventional gym membership but without the high price try The Gym Group. The no frills monthly membership starts from £10.49 and they offer a day pass for just £4.99 for 24 hours unlimited access. Loads of gyms offer day passes and trial memberships. If you are in a big city and have your pick of the bunch you can theoretically move from gym to gym during the year whilst you are studying and then use short passes when home for the holidays. For the full list of passes and trials periods check out our great guide for 12 ways to save money on gyms. If you want a gym that is open all hours with no membership fees look no further then your local park. The Outdoor Gym Company has been taking the country by storm over the past few years, fitting hundreds of outside space in the UK with self-powered gym equipment. It is free to use and there are no queues. 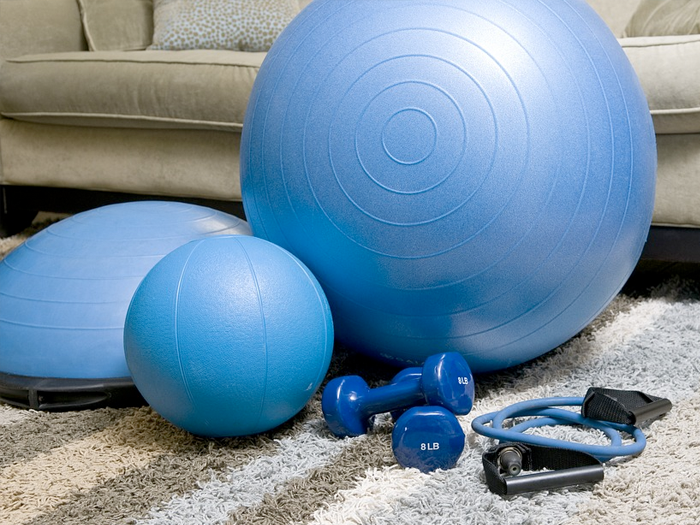 Exercise equipment is one of those notorious purchases that so many people make and never use. The amount of rowing machines and weights that are condemned to sheds and garages around the UK is criminal but for the bargain hunter it is a blessing. There are particular times of year to look out for when sites like eBay and Gumtree are flooded with cheap, second-hand exercise equipment but most days there are bargains to be had. Freecycle and Facebook for sale pages are the best place to pick up second-hand or unused equipment free of charge. You will have to look regularly and be quick on the draw especially with free listings but this is the best option to get a totally free home gym locally. Supermarkets like Tesco and Sainsburys now sell literally everything you could ever want. And most of us diligently scan our little points card every time we shop but forget to use the coupons.Well cash them in and save on a range of workout equipment next time you do your weekly shop. These items are often already discounted or on offer so you can pay nearly nothing for weights, exercise balls and more if you time it right. 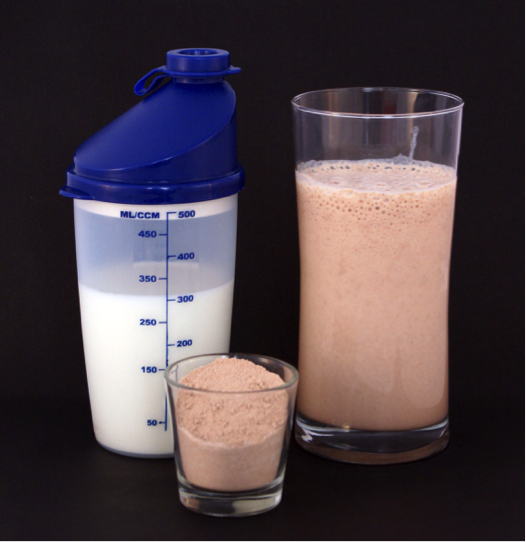 Wowcher and Groupon are two must check sites for discounts on whey powder, supplements and protein shakes. They always have at least one option if not more and the discounts can be huge for example, Wowcher recently had an offer on Super Berry Diet Whey Protein Shake, £9 for a 1kg tub instead of £40. That’s a 78% saving! Fitness magazines often have free samples inside to promote certain brands. Keep an eye out for offers in your favourite magazines. Sites like Freebie Supermarket let you sign-up to their mailing list and select what sample you are interested in. Then whenever a new offers comes up you will get an email and it’s a fastest first scenario to redeem the offer and get free samples. After most participation sporting events like half marathons or obstacle courses, sponsors hand out loads of free stuff at the finish line to competitors. This way is by no means the simplest of getting samples but if you are already signed up to an event make sure you take full advantage of all the freebies. They are always sport and training related and, shake and supplement samples never fail to be on offer. Student discount can save you significant amounts of money on larger purchases like trainers or equipment. Unidays is a good place to check for unique student codes. They offer 10% off Nike, 15% off Reebok and Adidas and a big 20% off Ascis. That’s a £26 saving on a £130 pair of running shoes. We at Student Money Savers also compile all the limited time offers on sportswear to make sure you get the most for your money, so check regularly to get the best deals.